When you become a member, you get unparalleled, insider access to Mesa Arts Center. Members are first to know about new shows, first to see our entire upcoming season every spring, get to attend special members-only events, receive members-only discounts, and much more! As a nonprofit organization, Mesa Arts Center Foundation relies on your generosity to help bridge the gap between ticket sales and operating costs. You can feel good knowing your membership supports Mesa Arts Center's Engagement programs that serve people throughout our community with transformative arts programming. Are you a renewing member? Log in here to renew, download the renewal form, or call the membership office at 480-644-6615. Don't miss out on special offers that are only available to current members! Download the Membership Brochure, here. *Please note, fan club or promoter pre-sales may occur before Mesa Arts Center member presale dates. In these instances, Mesa Arts Center will make every effort to ensure members have access to the best available seats. Get more out of your Mesa Arts Center experience with Premier Circle memberships. Premier Circle membership benefits includes everything the Center Stage membership level provides and additional benefits to enhance your experience at Mesa Arts Center. *Valid on purchases by phone or in-person **Based on membership level. Valid on Performing Live events. ***Based on availability ****Valid on Performing Live shows only. A portion of your membership is tax-decutible. Please, consult your tax-professional for more information. Memberships are non-refundable. Please note, fan club or promoter pre-sales may occur before or concurrently with Mesa Arts Center member presale dates. In these instances, Mesa Arts Center will make every effort to ensure members have access to the best available seats. 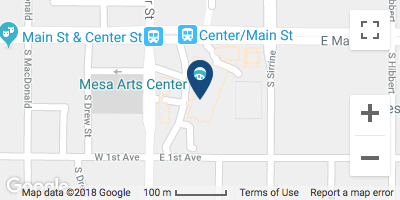 Give the gift that keeps on giving and share your love of Mesa Arts Center with friends and family. Personalized membership cards will be sent to the recipient along with information about Mesa Arts Center's many programs. This thoughtful gift supports the arts in our community and makes a great gift any time of the year.